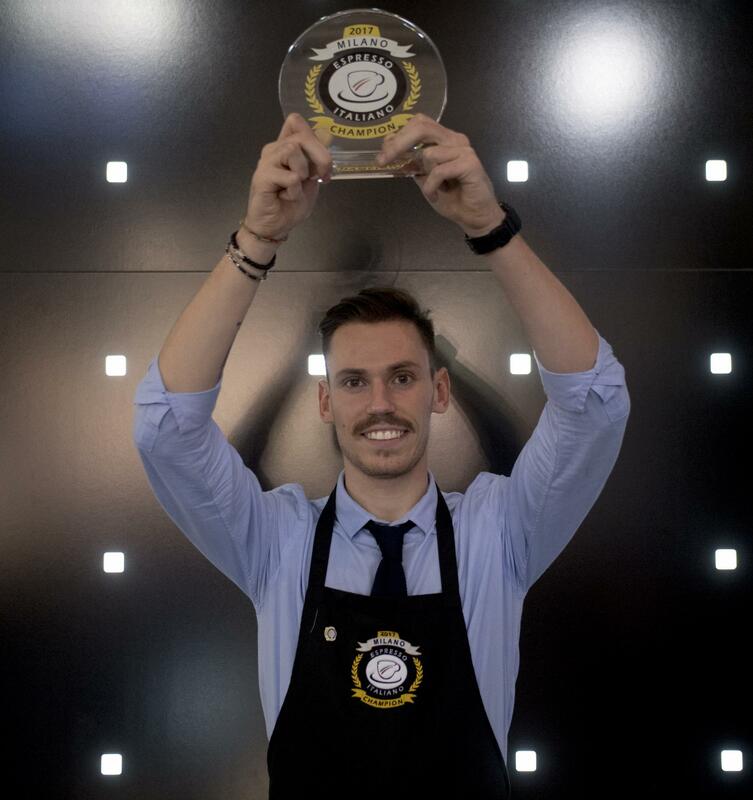 Fabio Dotti, 21 years old, is the winner of the fourth international edition of the Espresso Italiano Champion, the barista competition organised by the Italian Espresso National Institute (Inei). After an entire year of challenges in eight countries around the world (Italy, Japan, China, Korea, Taiwan, Thailand, Bulgaria and Germany) involving over 400 baristas, just four professionals made it to the final: Sun Lei (China), Ruffy Chan (Taiwan), Piyaphong Sihawong (Thailand) and Fabio Dotti (Italy). 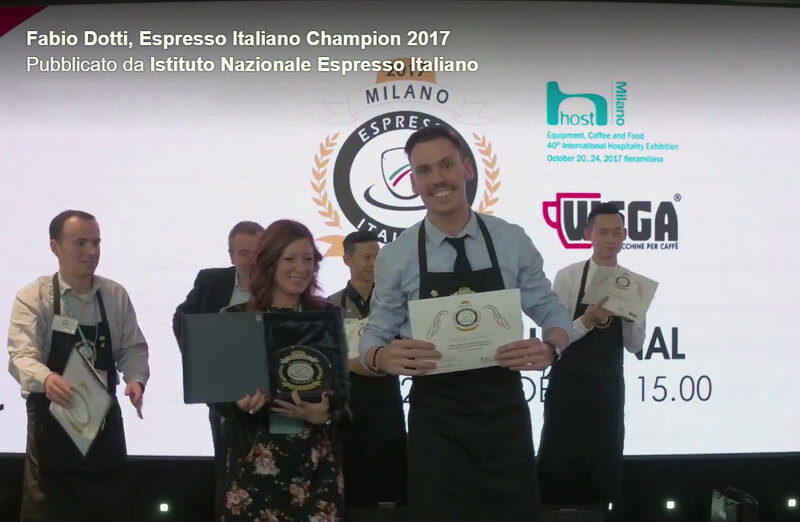 The young professional barista and trainer won the Espresso Italiano Champion title by setting the perfect grinding and subsequently preparing four espressos and cappuccinos with a blend approved by the Italian Espresso National Institute (Inei). A race against time (just 11 minutes) and under the watchful eyes of the technical judges and subjected to the ruthless blind verdict of the sensory judges from the International Institute of Coffee Tasters (Iiac). “The Espresso Italiano Championship is a relevant competition as it regards the daily tasks and commitments of a barista – Fabio Dotti said – The beauty of this competition is that its complexity puts you to the test: you must manage your emotions and equipment impeccably in order to deliver the perfect espresso and cappuccinos”. “The competition continues to grow and reaffirm its distinguishing character. It is far more than a just a competition, but a real training opportunity that enables us to transfer our knowledge of Italian espresso to the world – commented Paolo Nadalet, Chairman of the Italian Espresso National Institute (Inei) – The competition’s prominence is reflected by the rising number of participating baristas year-on-year and the glowing support from its followers”. “The key element of the Espresso Italiano Champion’s success is encouraging the baristas to be ambassadors for Italian espresso all over the world and to become role models for their colleagues – stated Luigi Odello, General Secretary of the Italian Espresso National Institute (Inei) – For the tradition to be kept alive, even innovated, it must be continued by highly-skilled and motivated professionals, like the ones we met within this edition of competition”. The international final was hosted at Host 2017 by Wega Coffee Machines. The international semi-finals were hosted by La Genovese, Dersut Caffè, Essse Caffè and Mokador. Past Espresso Italiano Champions have been Filippo Mezzaro from Italy (2014), Giannis Magkanas from Greece (2015) and Park Dae Hoon from Korea (2016).